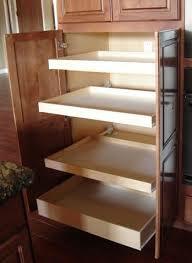 Roll out shelving is a great solution to your cabinet storage problems. 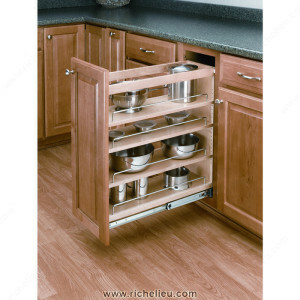 Spice racks, baskets, lazy susans, kidney susan, magic corners, roll out pantries and roll out drawers …the list goes on. These roll out shelves can be added to you existing kitchen cabinetry in as little as 1 day . A great addition to your endless shelving problems. Here are some great roll out shelving ideas . Contact Us for a Free in-home consultation.